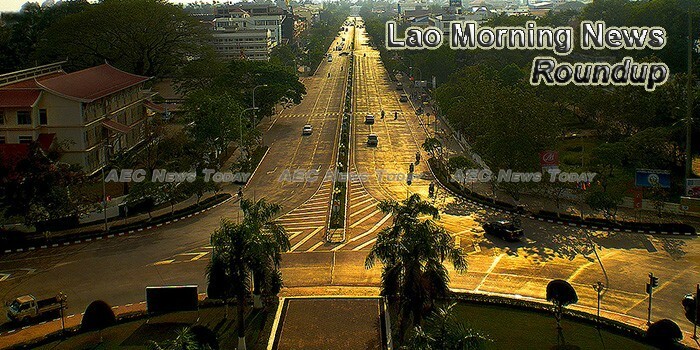 The Lao Ministry of Post and Telecommunications has named the development of e-commerce as one of its core strategic goals over the next ten years, Vientiane Times reported. The government has signed a document accepting grant assistance from the Chinese government for the rebuilding of Mahosot Hospital in Vientiane worth over 845 billion kip (646.8 million yuan). The gross domestic product (GDP) of the agriculture and forestry sector reached 22 trillion kip, rising by 2.8 % year on year and representing 16.3% of the total GDP of the country, said on Monday Minister of Agriculture and Forestry Lien Thikeo. The Lao-Korea Rural Development Training Centre in Vientiane province is playing a big role in reducing poverty and improving the living conditions of rural people, through lessons learnt from Korea’s successful rural development programmes. Prime Minister Thongloun Sisoulith and his delegation will visit Australia from March 15-19 to attend the Asean-Australia Special Summit, the Ministry of Foreign Affairs has announced. Forest cover of the Lao PDR has climbed from 40% in 2012 to 58% of the land area of the country last year, according to Mr Sousad Xayakoummane, Director of Department of Forestry, Ministry of Agriculture and Forestry. Labour officials are aiming to strengthen cooperation with local communities to spread the message about the benefits of vocational training, in a bid to get more young people to learn a trade. Local government officials plan to build more road links to neighbouring countries to make it easier for visitors to travel to the World Heritage town of Luang Prabang.